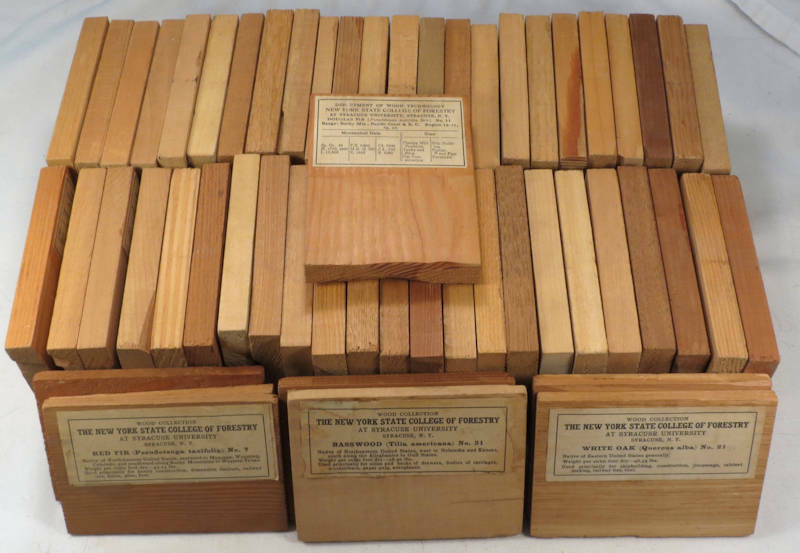 50+ samples from a collection created at the New York State College of Forestry which, according to Wikipedia, was the first professional school of forestry in North America and opened in 1898. 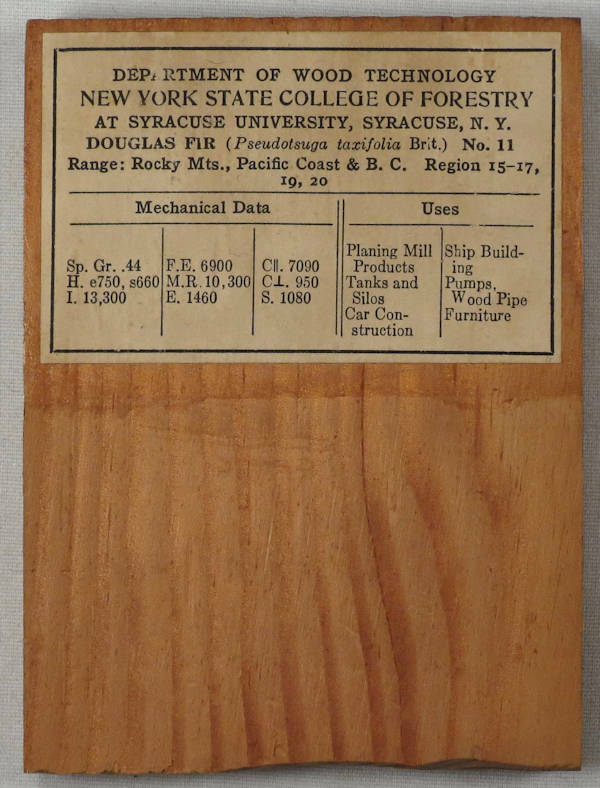 It closed in 1903 due to some controversial logging practices and then reopened in 1911 as part of the University of Syracuse (which is how these samples are labeled). No indication of when the collection was done but I'd be somewhat surprised if it was not during the early years of the 2nd incarnation, so the collection is likely about 100 years old. 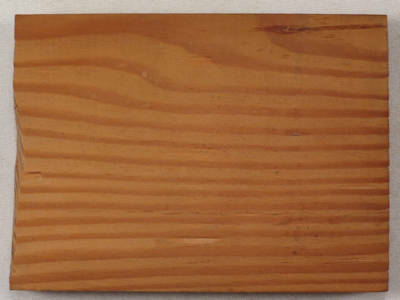 As is common with such collections in a yearly wood science class at university, each yearly class attacks some of the samples in the collection (and there were likely several of these at one time; there are a couple of duplicates in the batch I got) and cuts a small area on the end grain with a razor to get first-hand experience of the end grain characteristics. Then every few years about 1/8" is sawed off and the process starts again. These were likely 6" long or more when first made. 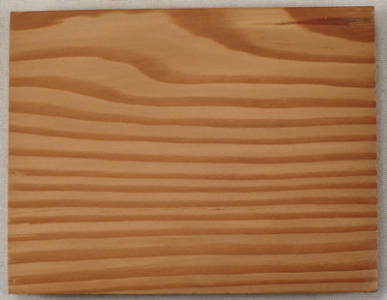 When I got them they were 4" long with cuts in all the end grains on the end away from the label. I cut off 1/4" and did my fine sanding (1200 grit) on that end. I also took pics of both sides and then sanded down the back side to show how the aging patina is only skin deep on most of them. All of the woods are North American, which is great for me because it means every single one of them is useful for my site and they have both a common name and a botanical name, which is particularly useful. One of the hacked up ends before I cut off 1/4"